Our records show you recently completed the CKA Exam. Within 36 hours of your completion of this Exam, a score report will be emailed to you and exam scores will be made available in your My Portal account on https://training.cncf.io/portal. Congratulations! 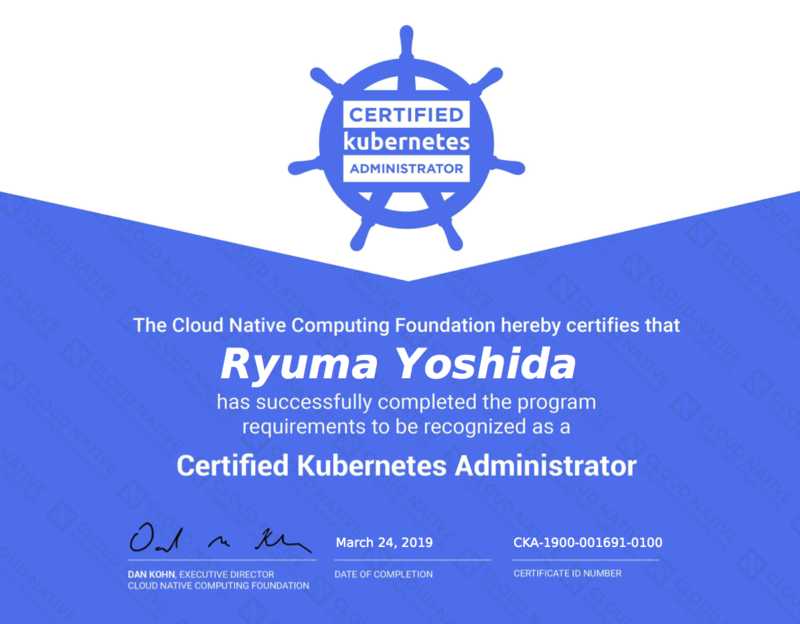 You achieved a passing score on the CKA Exam that you took on 2019-03-23! You scored 91% for this Exam. A score of at least 74% was required to pass. Congratulations, you have successfully completed the requirements needed to achieve CKA Certification! Your Certificate ID is CKA-1900-001691-0100 and your CKA Certificate is attached. The expiration date of your CKA Certification is 03/24/2021.